Sevilla seems to be the actual heart of Andalucía, a city pumping with life, flamenco and tradition. But it’s more than that. It’s a city with age-old corners to discover, and modern constructions next door. It’s a city rooted in its tradition but ever-changing and evolving into the modern Seville of today. Sign up for one of our many exclusive tours of Andalucia and discover for yourself the many things to do in Seville that encompass both its traditional and modern place in the world. Before anything else, you must soak in the history and enchantment Seville has to offer, and there’s no better way than strolling through the expansive and impressive Reales Alcázares de Sevilla, a beautiful Moorish palace and fortress located in the center of the city. 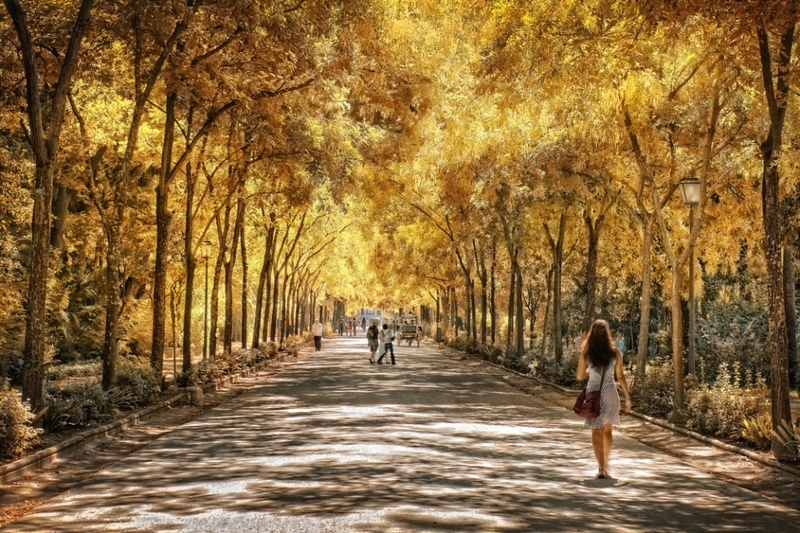 Its splendor and vibrant green gardens simply can’t be missed, and it truly is one of the best things to do in Seville. This palace, along with many other stunning stops, is part of our Colors of Andalucia tour. The cathedral is one of the most impressive Gothic cathedrals in all of the world, as well as one of the biggest. You won’t want to miss this chance to tour this massive chunk of history, as well as its most famous piece – La Giralda, the Catholic clock tower whose presence echoes a time when the Moors dominated Spain. Both of these beautiful testaments to Seville’s rich history are included within the Colors of Andalucia tour. Although the Metropol Parasol is relatively new when compared to the historic cathedral and palace, it fits into the city quite nicely. 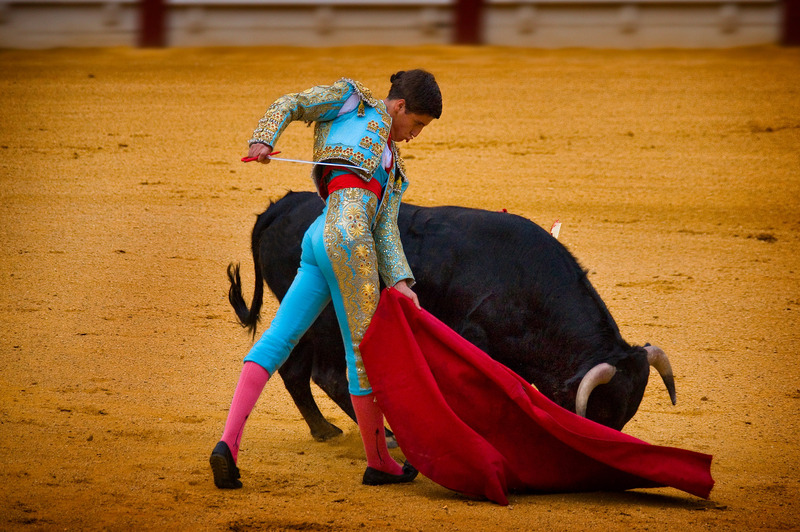 It’s one of the most unique and modern things to see in Seville. Within the Flavors of Andalucía tour, you’ll get the chance to see this impressive waffle-like structure that hangs high into the sky when you walk through the local market tucked inside. 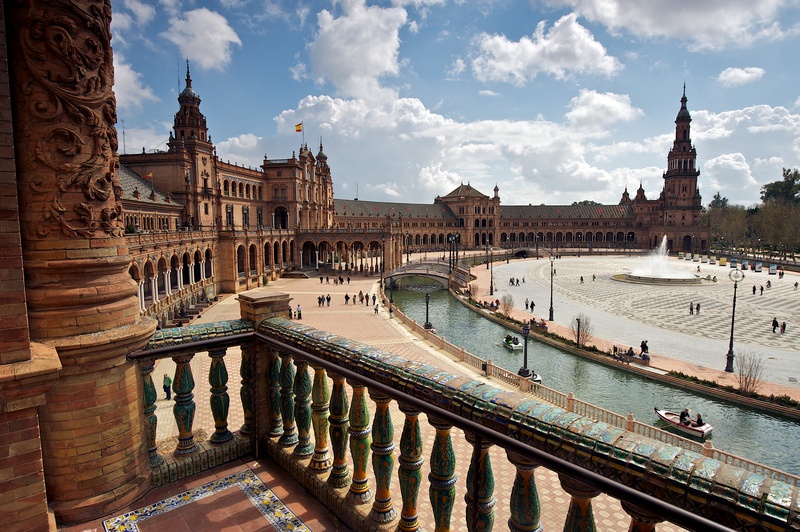 This is the most stunning park in Seville, and if you find yourself with a free afternoon or evening, this is the perfect place to take a walk, exploring the expansive greenery and the breathtaking Plaza de España. Delve into one or two or three of the many unique neighborhoods, all of which come together to make Sevilla a diverse, wonderful city. Count on us to personalize your stay with one of our tailor made tours and show you the secrets tucked within Santa Cruz, Triana, La Macarena and more. Sevilla’s culinary world is bursting with flavor, techniques and creativity, all while maintaining the rich and vibrant flavors of the past. That means saffron-studded rice, plump fried green peppers, delicately-stewed meats, freshly fried fish and touches of pimentón here and there. Join us on our Flavors of Andalucia tour to venture into local markets, receive personal cooking classes and get a feel for Seville’s tapas scene, too. There’s no better way to relax in a city like this than to visit the Arab baths. In the Flavors of Andalucia tour, we’ve set aside a special night for just that – relaxation, massages, and ancient baths in a pristine and beautiful location. In the center of the city and just in front of the grand cathedral, you’ll find Hotel EME, the beautifully modern hotel you’ll be staying at with the Flavors of Andalucia tour. Sneak upstairs to remind yourself you’re in one of the most historic cities in the world as you have a drink on their rooftop terrace and see the cathedral directly in front of you. There are so many wonderful places to discover within Seville, and we’re here to help you do just that. Our group tours are listed here, and if you have any other questions for us, do not hesitate to get in touch.